A short drive north of Johannesburg will land you in one of the most accessible safari parks in the country, Pilanesberg. In fact, you can enter the park with your own car to explore the area and admire the wide range of residents from lions, to giraffes, to elephants. However, you’ll want to stay for awhile to get the most out of the area. Consider staying at some of Pilanesberg’s best lodges to grab a cozy nightcap and sleep near the animals. Here are our picks for the best lodges of Pilanesberg, South Africa. 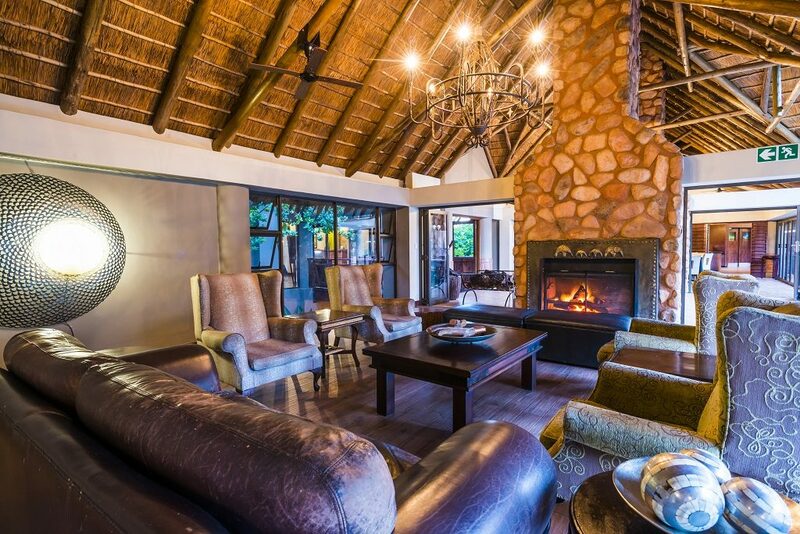 Cozy and intimate with only 18 rooms available per night, at Black Rhino Game Lodge nestled in the heart of Tamboti Forest in Pilanesberg, you cannot go wrong with booking a room in this space. Activities offered to guests include a jeep safari ride to see the “Big Five,” game walks and bird watching tours. The luxury lodge is conveniently located next to a popular watering hole where you’re likely to watch elephants and antelopes paying a visit to drink. The restaurant is an outdoor dining facility surrounded by a bonfire and guests can enjoy their gourmet dinners before retreating to their bedrooms surrounded by thatched roofs, earth tone furniture and a luxury bathtub. Be in the heart of where all the action happens by staying at one of Tshukudu Bush Lodge’s six chalets. The lodge will show you the true meaning of “glamping” (where glamour meets camping) by staying in a lavish surrounding while enjoying the rugged atmosphere of the facility. The walled luxury campsite has a plunge pool and each chalet has its own spacious patio where guests can watch the animals graze (it’s gorgeous at sunset hours). A dining facility is available on the premises, but you’ll want to attend the Tshukudu Bush Dinner for a traditional braai surrounded by a bonfire in the middle of the savanna. Slightly more resort-like than lodge, Kwa Maritane is in a spectacular location in the heart of the park. Guests have live cams in their rooms of a nearby watering hole and enjoy other amenities such as a luxury pool, spa, and all-you-can-eat daily buffet. Guests will join a safari tour while a skilled guide takes them to all the best spots (ask to join the night tour to spice it up). If you’re toting along the kids, this is the place to bring them to, as there will be daily shows where ranchers show children local snakes and animals. There’s an additional tennis court, game room and a playground that’s perfect for the family. 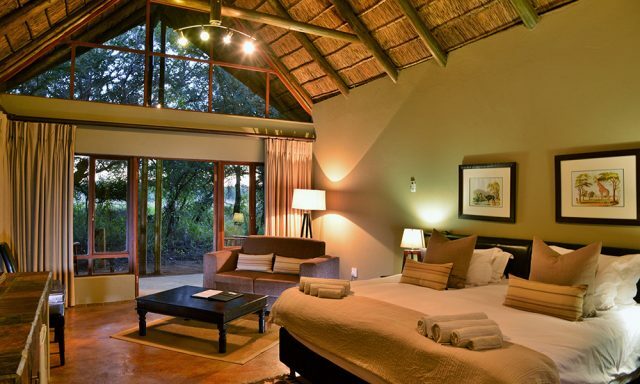 Ivory Tree Game Lodge in Pilanesberg is a real treat as each room is beautifully decorated with African flair. 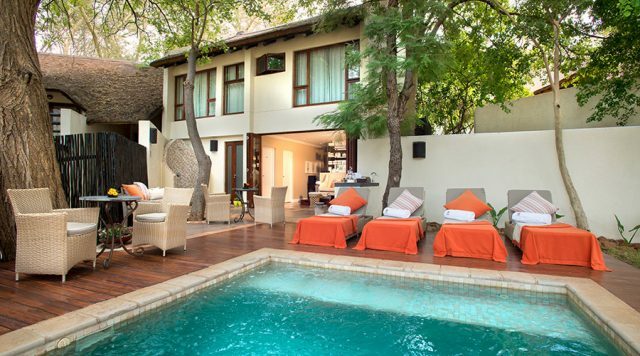 Guests can choose to stay in the standard room, family suite or the luxury suite that has its own private plunge pool. 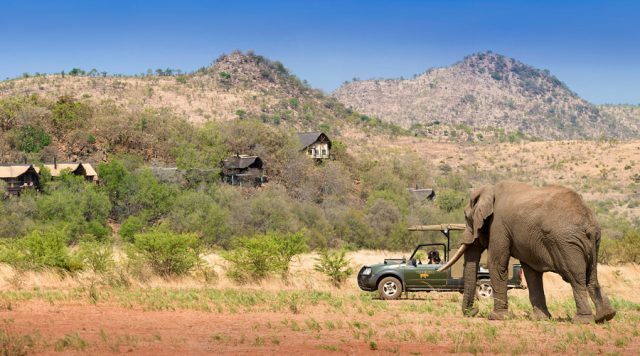 Ivory Tree Game Lodge has some unusual activities you’ll enjoy, such as a Segway safari tour, quad biking, air gun shooting, archery and interactive drumming. You can also get pampered at its spa that focuses on traditional African massages using all-natural ingredients. Looking to wow your significant other on a romantic getaway? 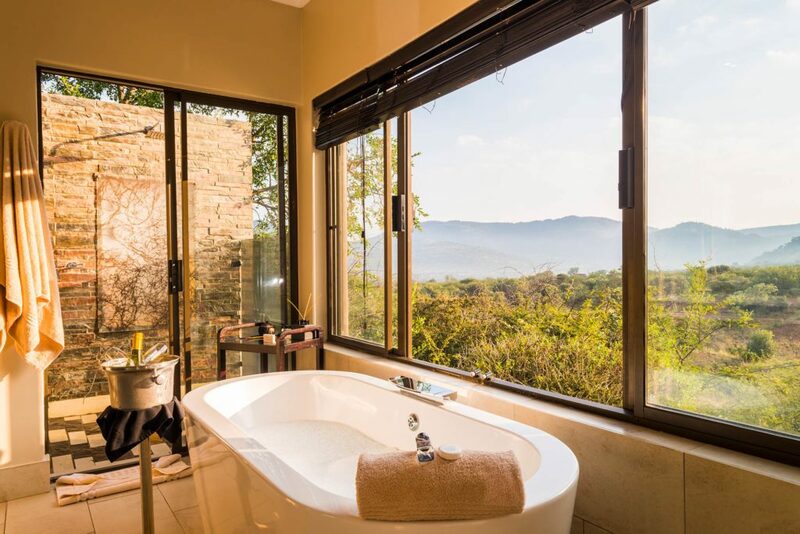 Shepherd’s Tree Game Lodge is the place to rekindle a romance since the guest rooms have spacious windows with a stunning panoramic view of the park, canopied beds, and a spa-like bathroom. The facility has a reflection pool, outdoor dining under the stars and spacious deck overlooking the land and the animals that roam it. Activities include safari game rides, live music at night where musicians use traditional African instruments, and an award-winning spa known for its hydro baths.